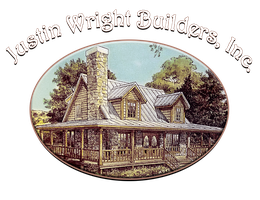 Welcome to Justin Wright Builders Inc. - Justin Wright Builders Inc.
We are a licensed unlimited general contractor with 15 years experience serving all of Western North Carolina, (Swain, Jackson, Haywood Counties and the Qualla Boundary). You'll receive turn key service from beginning to end, making your home building process an enjoyable, exciting yet simple experience. Whether building a new home or rebuilding the one you have, you will always get expert craftsmanship that will last a lifetime. We take the time to listen and understand what you want in a home. OUR GOAL is to translate your wishes into a one-of-a-kind dream home that fits your home site, your lifestyle and your budget. Contact us today to see our complete book of floor plans and to discuss your future home.